What springs to mind when you hear the word “Dons”? A candlelit high table crowded with kindly academics passing the port? Or a gathering of Mafioso types gathered in a back room, discussing the destination of the next horse’s head? As one of the pioneers of progressive education, Bedales has a long tradition of taking “student voice” very seriously indeed. Our school council, chaired by our head boy and girl, recently celebrated its 100th birthday. The Dons are the latest incarnation of this commitment to devolving meaningful responsibility to our students. Essentially, the Dons are student leaders for each of the important elements of our school. Primarily, they are associated with academic departments – so the Don of biology or Spanish, for example – though other areas of school life also have a Don, such as our precious library. In the early days, the students were adamant that there should be no active oversight or management of this layer of student involvement from the adult leadership team. This was their baby, and they wanted it to operate in an entirely free-standing, organic way. Somewhat sceptically, we let them have their head. This, frankly, led to a rather variable set of contributions across subject areas. A good number of Dons poured hours into supporting younger years, especially around GCSE time, and ran clubs and activities that related to the subject area. Others largely sat on their hands, revelling in the title and kudos, and boasting of it on their Ucas form, but were disappointingly unaccountable and inactive. The students recognised the unfairness and ineffectiveness of this system, and soon sought to formalise the relationship between their network and the school’s more well-established structures. The first big change for “Phase Two” was around the appointment process. We moved from a rather underground mechanism, whereby Dons more or less emerged from the shadows to be announced to HoDs by the students, to a rather more transparent process whereby aspirant Dons applied to the HoD, laying out their motivations and vision for the role. HoDs formally took on responsibility for managing their Don, and shared expectations were set. The head boy and girl attended a HoD meeting to negotiate the finer points. The Don of teaching and learning is my sidekick in keeping some light reins on the whole project, which now feels distinctly more collaborative, embedded and effective than Dons 1.0, which now sleeps with the fishes. What do they do? It’s delightfully disparate, with some students going across to our prep school to help lead activities or get involved in the science fair there. Others organise external speakers and take responsibility for extracurricular societies. They pop up at the A-level choices fair to tell potential subscribers “what it’s really like”. No sugar-coating. Flora, the religious-studies Don, is working on a student-sourced resource booklet for the new A level. Dons even attend departmental meetings from time to time to act as a sounding board on the issues of the day. By far the most frequent offering is that of scheduled subject clinics for younger year groups, especially during our “quiet time” – Bedales’ light-touch version of old-school “prep” time. This proves especially popular in the run-up to exams and coursework deadlines – they’re literally being made an offer they can’t refuse. Our most recent initiative was in response to a request from the governors that we make greater use of student feedback in shaping departmental development plans. HoDs and Dons alike baulked at the idea of generating sheets of data from online questionnaires – both conscious of the dangers of headline metrics generated from tiny sample sizes – and negotiated a more qualitative way of identifying development areas. So we planned a “feedback afternoon”, roughly following the model of a parents’ meeting, but with Dons behind the library desks instead of teachers, and students taking the place of parents. Students rolled through by year group to offer their unvarnished views on their experience, by subject, with Dons scribbling notes to translate (diplomatically and constructively, we trust) for their HoDs. An undoubted upside of all this is the inclusion of the students in the broader conversation about how teaching and learning happens. They have a voice. There’s undoubtedly more work to do be done to refine the role of our motley, idealistic Dons, but it’s a stimulating dialogue with the students about how they can best be involved in the running of their community, and it can only be good for their general political and organisational awareness. Most hearteningly, it brings out their deep commitment to our very special school. This article was originally published in TES magazine. An education is a transformative thing, and a great education can lead to a great transformation. Every student at Bedales is fortunate to have so many opportunities. Being part of a school like this, someone has invested in that transformation. For many, parents make this investment. Sometimes, it is grandparents. I have even known students paying their own fees out of inherited money. Others, and I was one of them, get to come to a school like this with the support of others, through bursary programmes. I can speak as one who knows: bursaries transform lives. Patrick Derham, OBE, the Headmaster of Westminster, and formerly Rugby, knows this better than most. 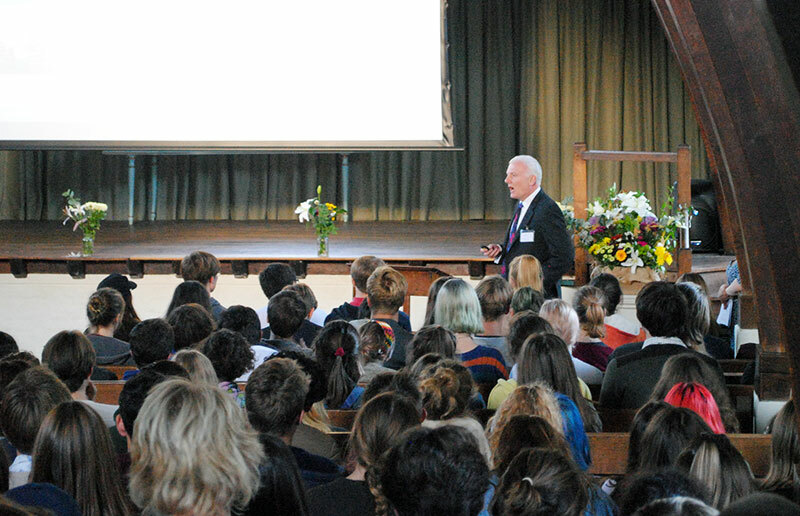 We were so fortunate to have him speak at Jaw on Wednesday, and the impact his talk had on students was palpable. Having, like me, been to seven schools before the age of 12, he was an ‘Ari Boy’, educated aboard the permanently moored vessel Arethusa. One day, he was asked ‘Do you know what Public School is, Derham?’ ‘No, Sir’, he replied. 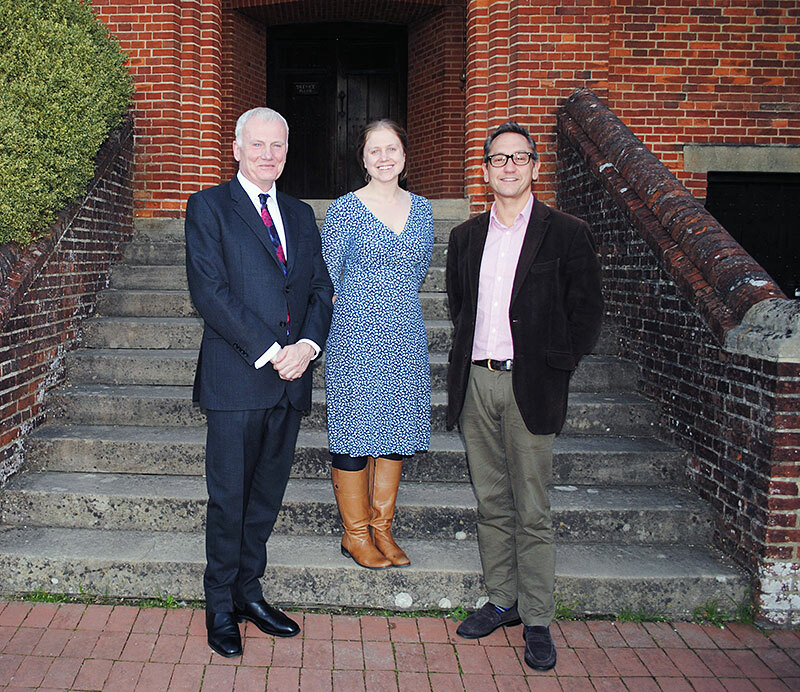 The school aboard the Arethusa was disbanded overnight, and he was sent off to Pangbourne College, a beneficiary of a bursary from an anonymous donor. It changed his life, giving him opportunities beyond his wildest dreams. He took advantage of every chance, getting to Pembroke College, Cambridge, and has spent his career determined to give back. He started the celebrated Arnold (bursary) Foundation at Rugby, and from that went on to found Springboard, a national charity linking young people to places at boarding schools. He is involved with numerous other projects, all concerned with providing excellent educational opportunities to young people in difficult circumstances. I can see why he said this was what ‘gets him out of bed in the morning’. Last year, I was thrilled and deeply moved to be asked to be a trustee of our own John Badley Foundation. Through the work of the JBF, students with backgrounds more like mine, and those much less fortunate than I was, can get to come here, and just as happens with every child, experience the transformation that comes from a great education. For more information about the John Badley Foundation, click here.